Sure aren't the Stone Roses back together now. This is one of the first billboard poster I did, way back in 2000, Ian Brown in the Redbox... and isn't it terrible. £16.50 for a ticket, quite expensive really. Here's an interesting one from a few years ago. 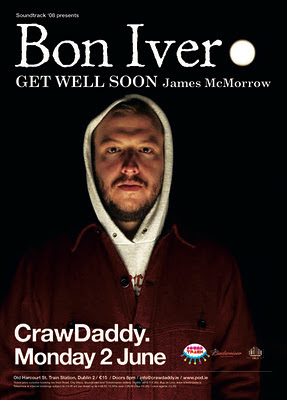 It's Bon Iver playing CrawDaddy back in 2009. And look James Vincent McMorrow is supporting, or just James McMorrow as he was known then. Here's something I don't usually do... 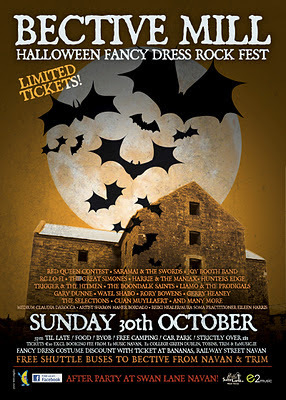 The people at Bective Mill are putting on this nice looking Hallowe'en event. I saw their own poster online and thought they could do with something better. I was having a slow day so I took all the information from their poster and cooked up this one, sent it over to them and told them they could use it if they wanted. Luckily they weren't offended and took my offer in the way it was intended. 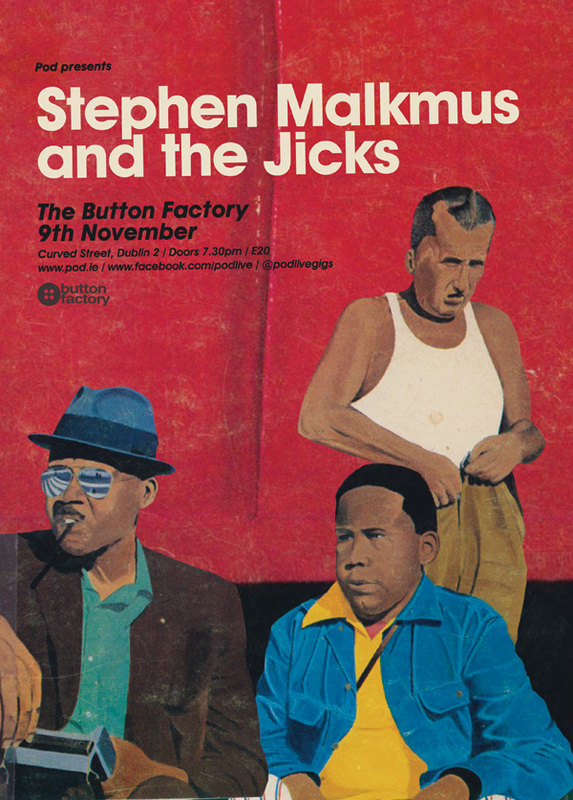 Poster for Stephen Malkmus and the Jicks. Another basic album cover job. I just shifted things around a good bit to make it work as a portrait poster. 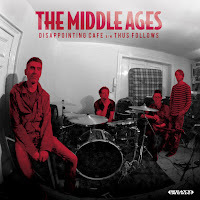 Here's the album cover for comparison. 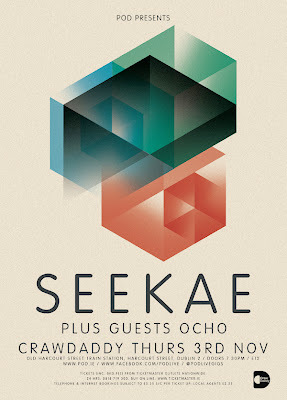 I did a really simple poster for Seekae yesterday. I took all the cues from the current Seekae album cover which is really cool. So it was just a case of making it neat and clear. I thought this might be interesting. A poster I did recently for Mundy, who is doing a charity gig this week. I don't usually save all the versions of a poster but I did here and you can see how it changed. 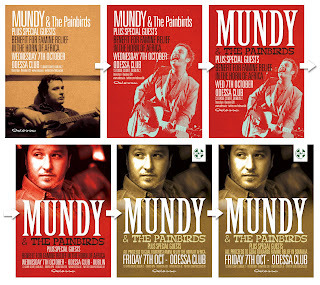 The first version is something I put together when I got the information and had a root around on Mundy's site. The final one is the version signed off my the artist and the venue.